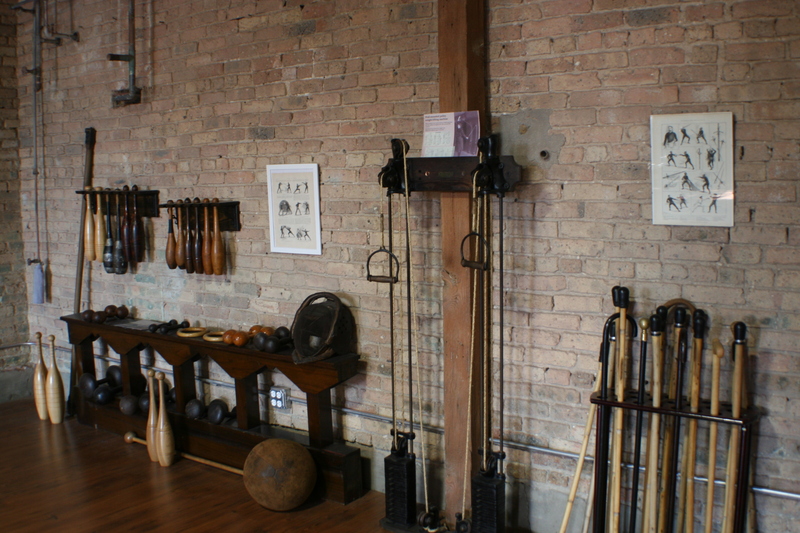 Circa 1900, schools of “physical culture” offered a wide range of tools and machines to develop strength, endurance, agility and flexibility. Sadly, many of these devices have been lost over the generations, but some have survived in working order. 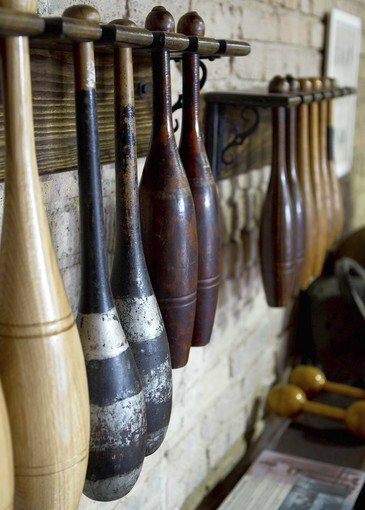 The Forteza gymuseum includes both a unique “living museum” of antique exercise equipment and an inspirational gallery of 19th century prints portraying combat sport athletes in training. “Look, but don’t touch” does not apply at Forteza! We actively encourage you to use the gymuseum apparatus as it was originally meant to be used, as part of a vigorous, holistic exercise program. Our rowing machines, weights, gymnastics bar and wall-mounted weightlifting machine were crafted over 100 years ago, by artisans working with industrial age materials – cast iron, oak and spring steel. They’re as strong as they ever were, and they can help you to become as strong as you can ever be. Thus, a circuit training session in the gymuseum isn’t just a good workout; it’s a physical interaction with history. Can we visit just to see the gymuseum? Of course! Guided educational tours for schools and other interest groups can be arranged. Please contact us for details.